What's new at Legal & General America? On Thursday, May 31, Legal & General America (LGA) hosted the team from Heartly House, a Frederick-based charity providing essential support to victims and survivors of domestic violence, to lead a Listen N' Learn breakfast session for fellow Frederick-based business. 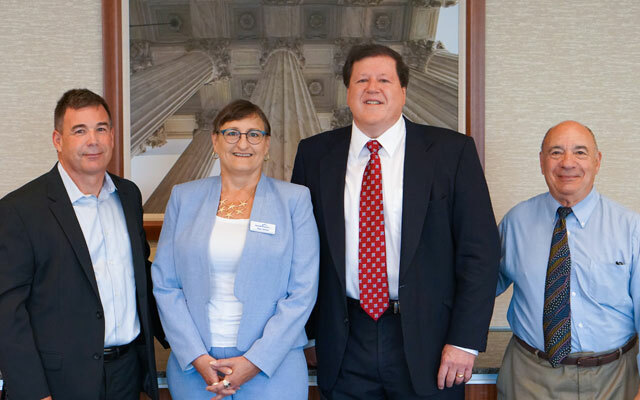 The event provided local business leaders and human resource managers with vital information on the effects of domestic violence and sexual assault on employees as well as a company's bottom line. Earlier this year, LGA's annual employee-sourced Charitable Giving Campaign raised an impressive $964,000 which was donated to both Heartly House and ThanksUSA. What Kind Do I Need?